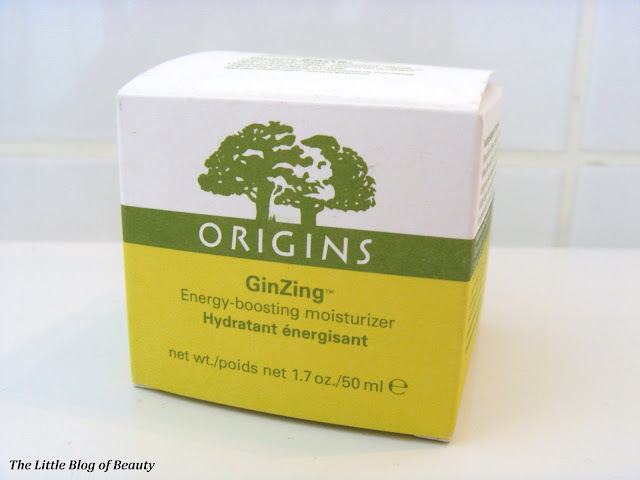 When Boots offered samples of Origins new GinZing moisturiser which you could claim by entering your details on their website, I decided to give it a try. A week or two later a sample sachet popped through my door and I have to say, I fell in love with it. My OCD side is annoyed by the wonky lid on the box but it won't stay down! I'm aware that several of Origins products are firm favourites within the blogging community, but I've never actually tried an Origins product for myself. I used my sample one evening before bed and then again the next morning and loved it so much that when I met up with my boyfriend later that day he whisked me into town saying he would buy it for me. I tried to stop him by refusing to tell him which one it was once we got to Boots (yes, I did stand in the middle of Boots with my arms folded saying 'no, I'm not going to tell you')! 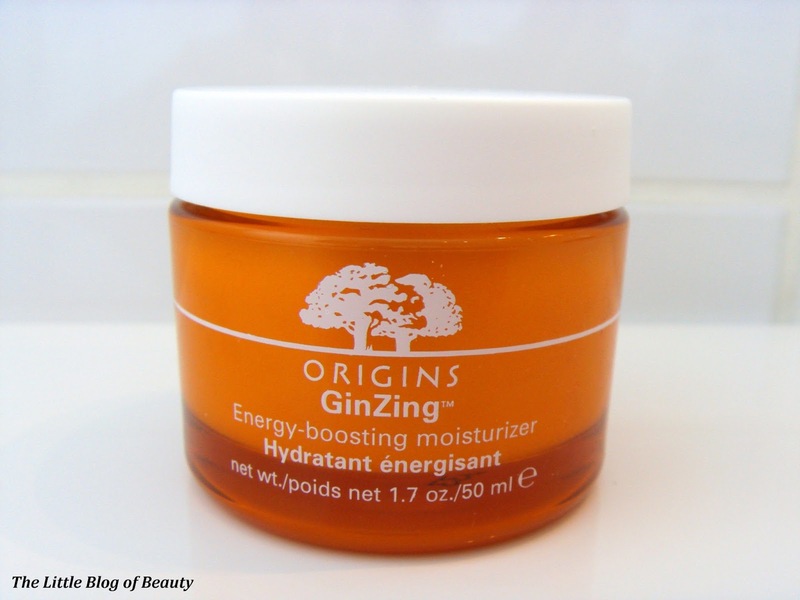 However, as he remembered that I'd mentioned that it was 'citrusy' he went up to the lady on the Benefit counter and asked if they had a new moisturiser that was 'orangey'. She said 'I think you mean Origins' and took him over to the display! The lid of the box confirms that this is formulated without Parabens, Phthalates, Propylene Glycol, Mineral oil, PABA, Petrolatum, Parafin, DEA, Synthetic colour, Synthetic fragrance and animal ingredients and that Origins tests its products on volunteer panels. This is a super refreshing light-weight gel cream which has a lovely citrus scent that I would imagine comes from the lemon and grapefruit peel oil. 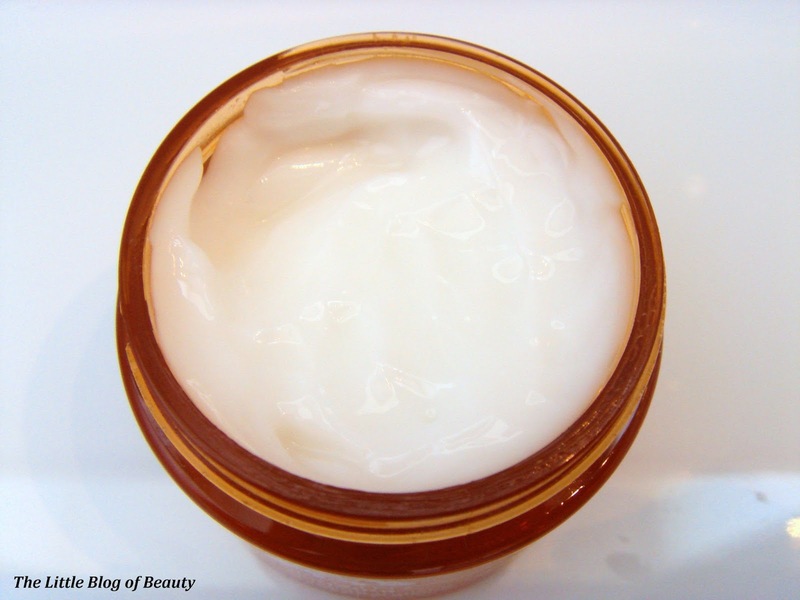 This also contains aloe leaf extract, shea butter, jojoba butter and ginseng root extract. 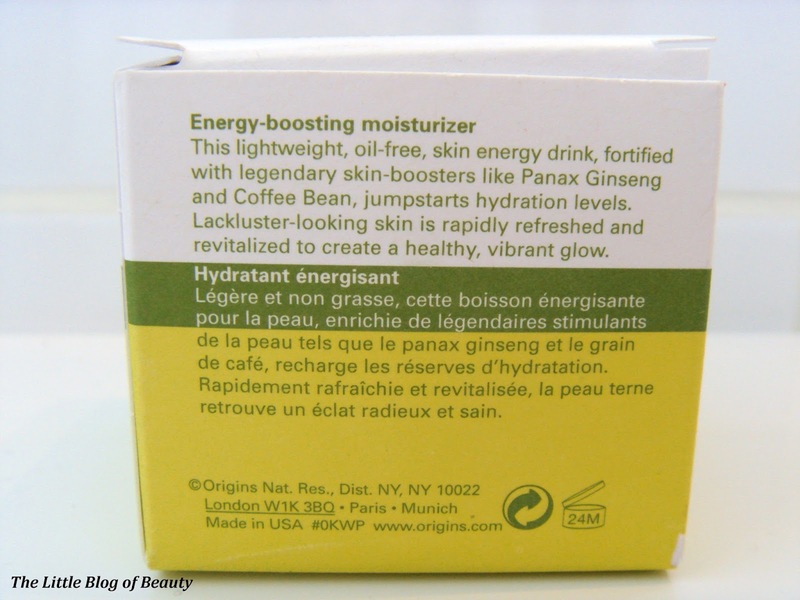 This is perfect for using in the morning as the cooling gel, citrus scent and caffeine really wakes up your skin and prepares it for the day ahead. This has also been really nice to use in the hot and humid weather we've been having in the UK recently and I would imagine if you pop this in the fridge and keep it really cool this would be even better. Although this is a light-weight gel this does provide enough moisture for my dry skin. This is absorbed instantly and leaves nothing behind except soft, smooth, refreshed skin. As I've never purchased an Origins product before I had no idea how much this might cost but I was pleasantly surprised to discover that it's only £23, which I think is really reasonable, coming in at £8 cheaper than my current favourite moisturiser, Clinique's Moisture Surge. Oh Origins, I think I may be in love with you! I'm now really tempted by the Origins GinZing eye cream. Has anybody tried this and what do you think of it?